Montane, subalpine. 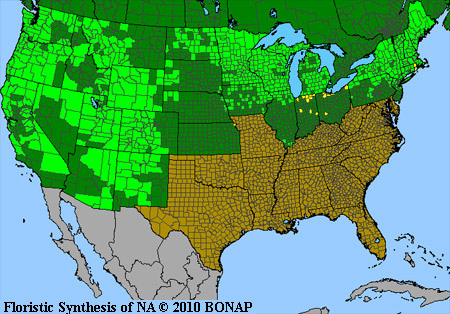 Woodlands. Spring, summer. Little Taylor Creek Trail, May 31, 2006. 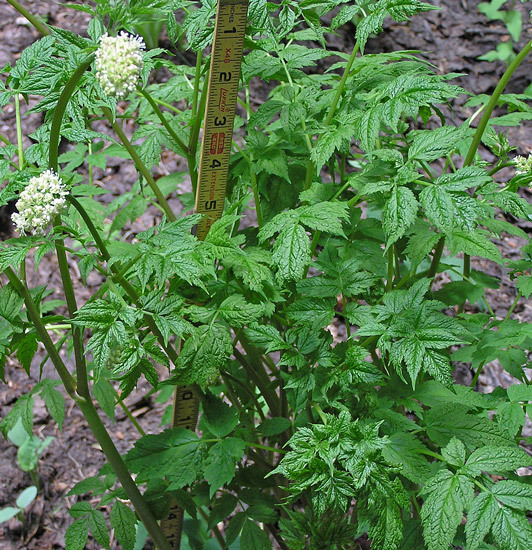 Baneberry grows rapidly to two or three feet and then puts out long flower stems topped by a cylinder of white flowers. The delicate clusters of flowers give way to very eye-catching and very poisonous red berry clusters. (The berries are infrequently white.) 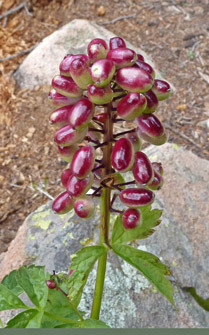 Equally poisonous European and Eastern U.S. species of this plant became infamous when parents made eyes for children’s dolls out of the white Actaea pachypoda berries (which have a black pupil-like spot on one end). 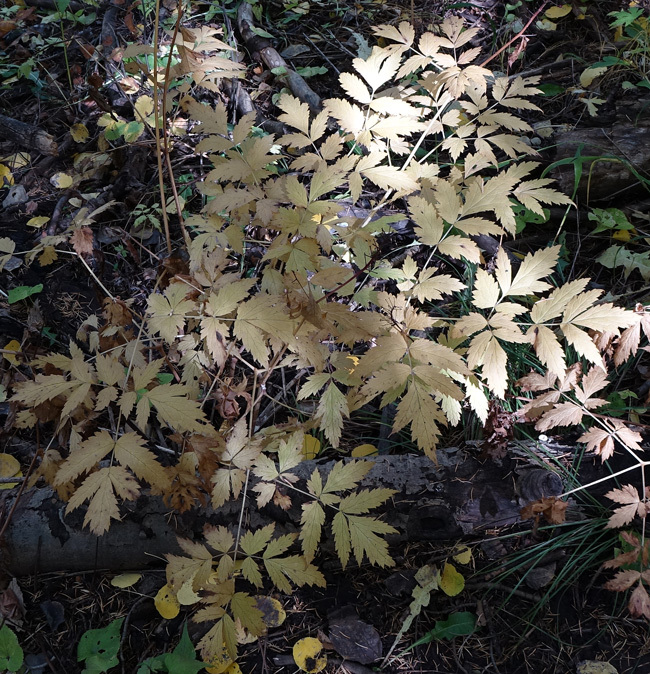 Thus a poisonous plant came to be known by a very warm and homey name, "Doll’s Eyes". 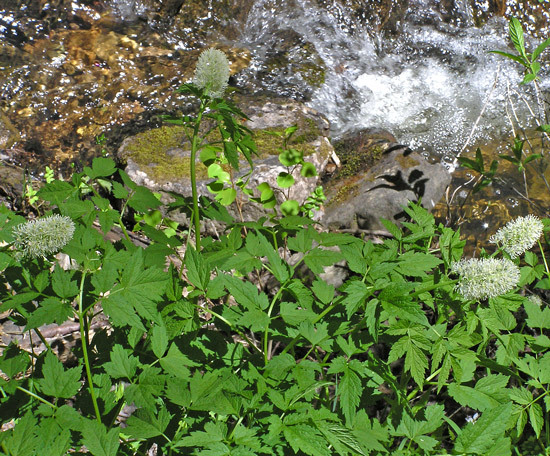 Usually Actaea rubra enjoys cool, shady forests but in the second photograph at left the plant is growing just a few feet back from Little Taylor Creek. Flower and seed heads are sometimes so heavy that they are horizontal. 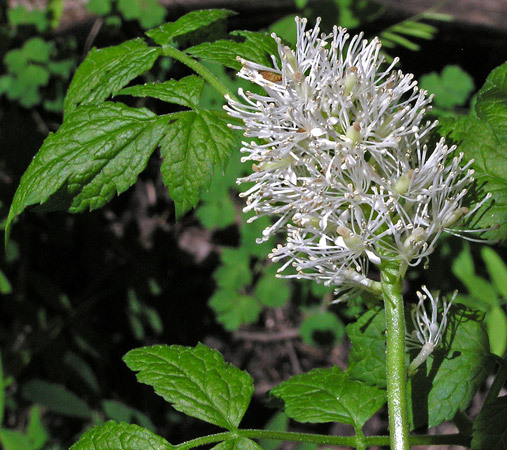 In 1789 William Aiton named this plant Actaea spicata variety rubra from specimens collected in North America. 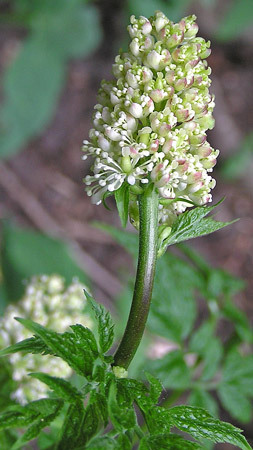 Carl Willdenow renamed the plant Actaea rubra in 1809. "Actaea" is the ancient name for this plant. "Rubra" is Latin for "red". Lizard Head Trail, June 9, 2006. Green berries form rapidly after flowers fade. 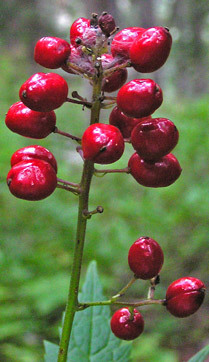 Mature berries are almost always a glistening red. Owens Basin Trail, August 27, 2008. Vallecito Creek Trail, September 13, 2010. 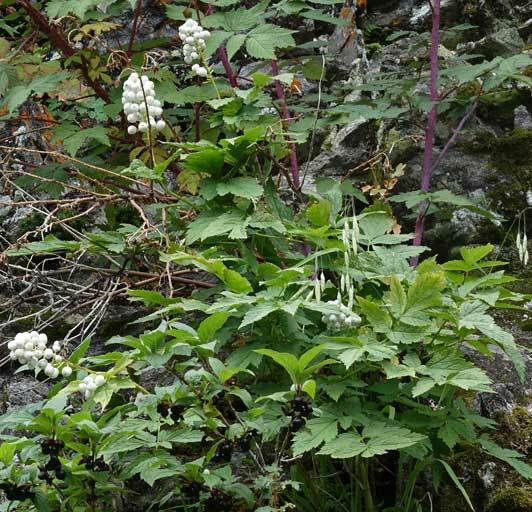 White berries are uncommon in the Four Corners region. Bear Creek Trail, September 27, 2016. Fall colors are soft and subtle.